I have been practicing law since 1999. I have dedicated almost all the time I have been an attorney to the practice of criminal law. 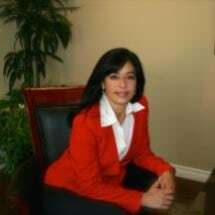 I began my legal career in the Los Angeles County District Attorney's Office as a Deputy District Attorney, where I prosecuted thousands of cases, ranging from the lowest misdemeanor charges to murder cases. Since 2005, I have owned my own law practice, where I have focused primarily on the defense of those who have been charged with a crime. My goal in every case is to make sure that my clients receive the best defense possible. I pride myself in achieving my goal for each individual who has entrusted me with their case, and, therefore, their lives.